Have you ever considered a gluten free lifestyle? I have seen through my own experience, and the experiences of friends and colleagues, that adopting a gluten free lifestyle can result in huge, life changing, health experiences. Have you ever considered a gluten free lifestyle? I have to tell you, I am not a doctor. Nor do I desire to be one. However, I do desire to see people living their best and healthiest lives. For me, that meant going gluten free. Notice that I said gluten free LIFESTYLE, and not just a diet. That is because I feel that if you choose to go gluten free, it should become a lifestyle choice for health reasons, and not just another fad diet. Maybe you think that a gluten free lifestyle isn’t for you. Let me ask you something. Do you often experience the same symptoms in your body, whether it be headaches, bloating, fatigue, missed periods, just feeling “off”? The list could go on and on, but nothing you do seems to remedy it? The culprit could be gluten. According to the celiac disease foundation, there are 200 known symptoms of celiac disease and non-celiac gluten sensitivity (NCGS). Did you read that correctly?! 200!!! That means that anyone who has celiac disease or NCGS could experience any combination of those 200 symptoms. Additionally, most people assume that if you have celiac disease or NCGS, it will manifest itself through digestive symptoms. This is in fact much less likely to occur in adults with a gluten intolerance. For me, it manifested itself in the form of hormonal imbalance and amenorrhea. The Celiac Disease Foundation reported that about 80% of the celiac population remains undiagnosed. But, they also estimated that the NCGS population may actually be equal to or even exceed the celiac population. Read here to see how avoiding gluten helped me avoid getting head colds. Gluten is a protein that is found mainly in wheat, rye, and barley, though it can be found in a number of different foods. It acts as a binding agent, helping food hold together and keep it’s shape. Ingesting (or sometimes even coming in contact with, for those who are very sensitive) can cause an autoimmune response that causes inflammation in the body and attacks on the small intestine. This causes the body to be incapable of absorbing nutrients properly, which is what then leads to various symptoms. Is A Gluten Free Lifestyle A Good Choice For You? Maybe you are lactose intolerant, have Crohn’s disease, or IBS. Did you know that these can also benefit from a gluten free lifestyle? 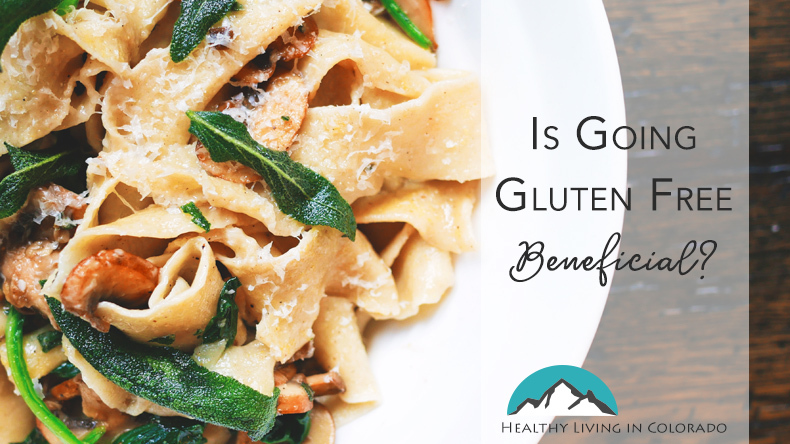 Many of the symptoms of these diseases overlap with symptoms of celiac or NCGS, but if a proper gluten free lifestyle is adhered to, many of the symptoms can be remedied or at least lessened to a great degree. 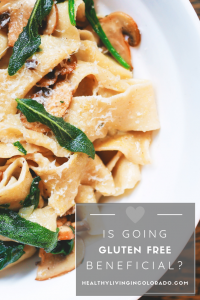 Now, I know that adopting a gluten free lifestyle is a huge change that requires some learning and a lot of adjusting, but maybe, just maybe it might be the fix that you have been looking for. I’m not telling you that you need to go into your kitchen, empty out your cupboards and make a rash decision. But I am wanting to plant a seed in your mind for you to consider, just like my mother did for me. It has changed my life since then. I went gluten free just over a year ago. Although I wasn’t experiencing horrible stomach pains or migraines or anything like that, I was actually diagnosed with amenorrhea. Amenorrhea is a disorder that affects the female reproductive system. It is when a woman goes at least 3 months (in my case I would go at least 6 months if not longer) without having a menstrual cycle. I had thought for years that if I just changed my lifestyle, it would fix me. I so desired feel normal. We were so concerned that because of my amenorrhea, I would not be able to have children. So I tried every diet and “healthy” lifestyle I could think of over the course of several years, but nothing ever changed. One day my mom asked me if I had ever looked into how gluten affects the reproductive system, hormones, and fertility. It had never even crossed my mind until then. But when I started researching, I found exactly what I was looking for. Turns out that gluten can definitely affect the reproductive system and fertility. I also found that it can cause delayed menarche (first menstruation), which I also experienced as a teenager. Since I have adopted a gluten free lifestyle, I have gone from going 8 months without having a menstrual cycle, to having one every 4 weeks! Plus, I also just feel stronger and healthier. I have noticed less fatigue on a day to day basis. And I have realized that I used to always be bloated, and now I’m not! And those who know me have seen the difference too and comment on how I look healthier overall. If you feel the need to talk to your doctor about it, then go ahead and do so first. But I do know from my own experience, that gluten testing was not something that my doctors even wanted to consider. They just kept saying, “you’ll be fine” or “you don’t need to worry about this. We will address it later when you’re ready to have children.” But I wasn’t happy with those responses. So I took matters into my own hands. If you’re at the same place that I was, then I encourage you to give gluten free living a try. However, there are a few more things to know if you adopt this lifestyle. Many products that contain gluten are supplemented with different vitamins and nutrients that we may not get from the rest of our diets. As a result, people who go gluten free without also adjusting the rest of their diet are often times deficient in B vitamins, folate, iron, calcium, magnesium, and vitamin D.
Here are some foods that are good to incorporate into a gluten free lifestyle to make sure that you are getting the nutrients your body needs. You may notice that many of the foods overlap into several categories. It is also not a bad idea to incorporate a multivitamin into your daily routine. Just check the label to make sure it is also gluten free! Click here for amazing gluten free food shipped right to your door from Thrive Market. If you are ready to try the gluten free lifestyle and see changes in your health, then this article will help you with steps in starting out your gluten free journey. I will also include a download to my list of my gluten free pantry staples! Get started on a new health journey now, and see for yourself how a gluten free lifestyle could benefit you. If you want some great recipes, one of my favorite cookbooks right now is True Roots by Kristin Cavallari. She started cooking gluten free (and also dairy and refined sugar free) for her family. But it was mainly for her husband who is diabetic. (See! A gluten free diet can even benefit diabetics!) I don’t always follow her recipes to a T, but they do inspire me in a healthy lifestyle, and they are definitely delicious! Carmen Wilkerson is a lifestyle blogger and the creator of Life Meets Love. 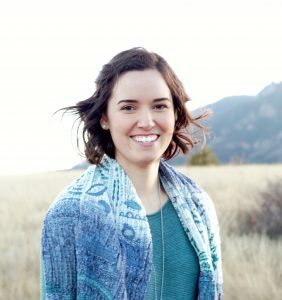 She seeks to use her own experiences to help, encourage, and inform others in the areas of gluten free living and relationships. She currently lives in Colorado with her husband and their dog, whom she spoils incessantly. You can also find her on Facebook and Pinterest.